The Party Grill® 200 runs on a Campingaz® CV Easy Clic Plus cartridge which can be easily replaced whilstcooking, should you run out of gas. The Party Grill® 400 is offered as CV version, running off an cartridge or as aR model which connects to a cylinder. 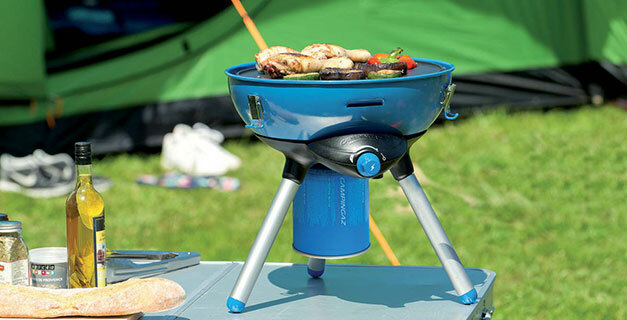 The Party Grill® 600 is offered for use with cylinder only. The piezo ignitionon all models promises simple, match free lighting wherever you are, so you can get the party started.